World’s Best Mojito: Will a Bangkok Cocktail Lounge Share Its Secret Recipe? A stylish cocktail lounge at a five-star hotel in Bangkok, Thailand, gives a new twist to an old favourite, the mojito. Will the friendly bartenders agree to a photo shoot? More important, will they share their secret for what could be the world's best mojito? Just when I think I’ve had the best mojito ever, I’m confronted with a new spin on this old favourite. A few months ago it was a mojito made with fresh basil at a Western steak house in Hong Kong. 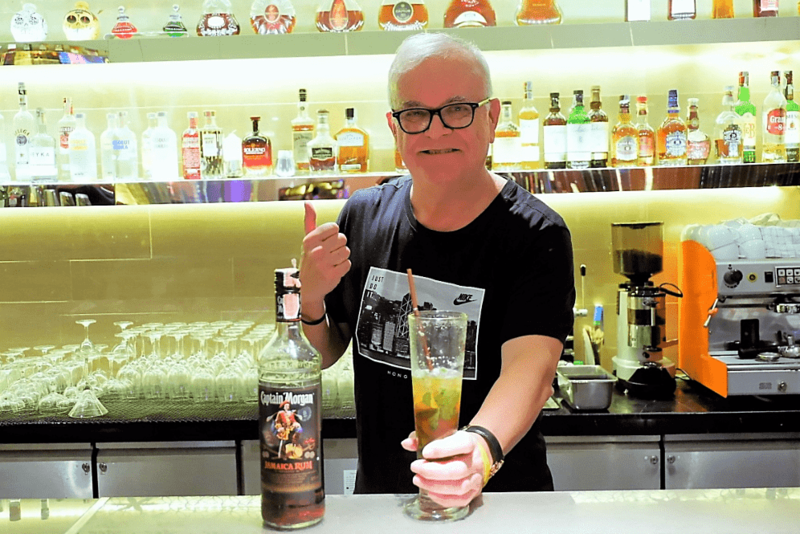 This time around, it is a mojito made with five spices at the lobby bar of the Renaissance Bangkok Ratchaprasong Hotel, a 5-star hotel in Bangkok, Thailand. A casual food and beverage outlet, RBar serves mouth-watering snacks, sliders, and sandwiches. Beverages run from red and white wine, champagne, and spirits to classic cocktails, mocktails, inspired cocktails, and what the menu calls Cocktails by RN. Satiated by a yummy sit-down Thai dinner served on board a vessel cruising up and down the Chao Phraya River, which bisects downtown Bangkok, I‘m not hungry. But I have cultivated a thirst that only a signature cocktail can assuage. And I don’t want something tried and true. I want something that I’ve never tried before. I suggest to my two travel companions that we stop in the RBar for a refreshing nightcap after freshening up in our rooms. We return to the lounge a few minutes later. The three Cockltails by RN are highly recommend by our server. They include Mekhong Elite, Panda, and 5 Spice Mojito. I opt for the 5 Spice Mojito, and I don’t regret my decision. At some point I lose count, but I consume either three or four of them before returning to my hotel guest room for the night. I don't have a trace of a hangover the following morning. Following another exhilarating day, which includes lunch and dinner at two of Bangkok's finest fine-dining restaurants, I return to the hotel. Unable to take my mind off the 5 Spice Mojito, I return to the cocktail lounge after freshening up to take photos – first of the cocktail, then of myself, and finally with the very friendly bartenders. RBar's take on the Mojito includes honey water imbued with 5 Balinese spices: orange peel, star anise, cinnamon, clove, and caraway. The thirst-quenching cocktail is served in a tall glass. It is topped with a sprig of fresh mint. There is a DJ spinning cool discs and a large TV screen airing CNN News. There is also a cocktail workshop on the first Thursday of every month from 6 to 7 pm. Highly popular in recent years, the mojito is the perfect summer cocktail. Invented in Cuba, it is refreshing, with both minty and citrussy notes. The traditional recipe calls for five ingredients: white rum, sugar cane juice, lime juice, soda water, and mint. To prepare a mojito, you should combine lime juice with sugar syrup (or honey water in the case of RBar's verson). Then add mint leaves and gently "mush" them to release their essential oils. The leaves should not be shredded. Gently add the rum and stir. Top with crushed ice and add soda water (optional – RBar's version does not call for soda). Garnish with lime slices and a sprig of mint. The mojito traditionally is relatively low in alcohol count, roughly 10% by volume. I have a feeling that the bartenders at RBar were a bit generous, as their version packed quite a punch. 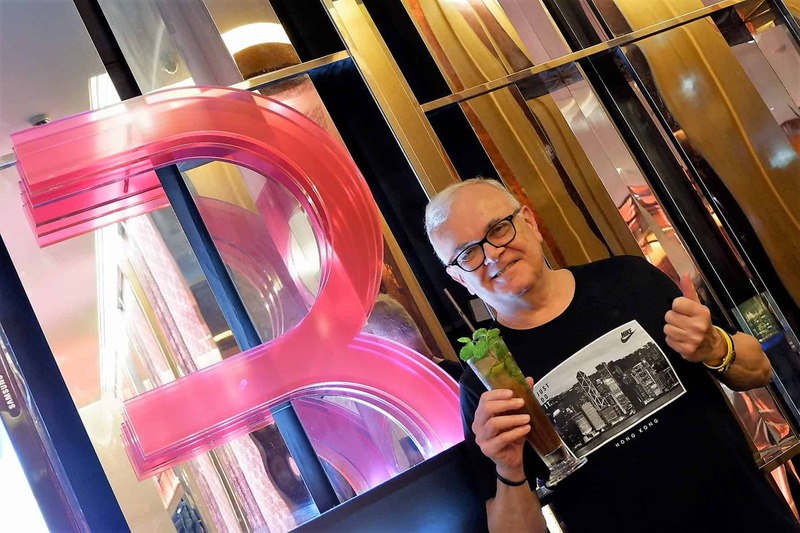 RBar is one of seven food and beverage outlets at the Renaissance Bangkok Ratchaprasong Hotel. Other outlets include an all-day dining international buffet restaurant, a Chinese restaurant, an Italian restaurant and wine bar, a coffee bar in the lobby, a poolside bar, and an open-air beer garden.